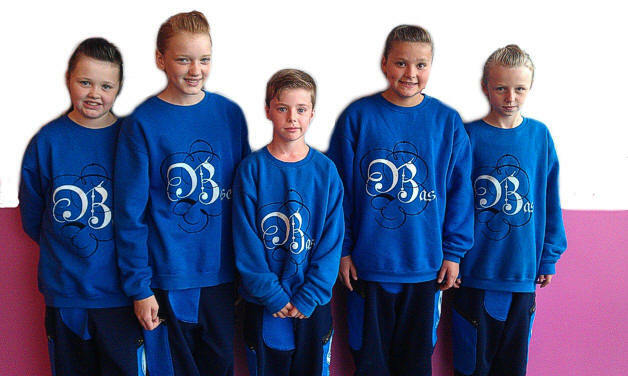 BASE Crew from KENT are aged 10-13yrs and Choreographed/Trained by Belle and reached the Final of BBC's Alesha (Alesha Dixon) Street Dance Stars. Rules set by BBC to use at least one of the tracks provided, but I used all three, very pleased with the outcome of this challenge, as it was not an easy one! Put together in five hours from scratch in a Manchester Hotel Conference Room the day before there final, that's how tight schedule was for this program, but they made me very proud on the day! This group of children aged 10 to 13yrs put together and choreographed by Belle for Alesha Street Dance Stars 2 a BBC Program that is due to be aired on CBBC Channel on 20th August 2012 at 10am and repeated at 4:30pm each week day, for two weeks. Its likely to be shown on BBC1 later in the year. After being together for a matter of weeks, BASE audition against hundreds of crews form across Britain to be selected in the final 24 to appear on the show. Belle choreographed there initial audition set and there set ready for there Heat Set that is due to be shown on 21st August 2012 on CCBC Channel. Belle had been asked to perform for the Minister of Sport and Damm Kelly Holmes but instead, but with a clash in dates meant she had to make a choice. Not wanting to let them down Belle decided that she wanted to dedicate her time to the children in BASE Crew as there dream like hers was once, to perform on TV. This dream has now come true and they are all so amazed to have got this far in the show and have very grateful for Belle's hard work getting them there. So tune in on 20th August when series 2 kicks off and look out for BASE from Kent on 21st August in there Heat where they have to battle it out for a place in the semi-final. Belle for someone of 13yrs old your choreography is amazing. Belle has visited Schools all over the UK and provided workshops. Dance teachers have realised that there pupils have been inspired by Belles work and accomplishments and is a great role model to there pupils. You are the only crew on this program who have the correct foundations.